Samuel Adams Summer Ale is awful. It is fizzy and yellow, there’s no suds after about twenty seconds. This beer smells like dirty laundry. It doesn’t taste much better than that, either. Take an average, mass produced American beer and filter it through your armpit, and you will have this. The label says there is lemon zest in this beer. I’ll take their word for it. This beer is not fit to drown rats in. Shiner Ruby Redbird is a summer seasonal beer brewed with ginger and grapefruit. This beer is pretty terrible. It is nice looking, I’ll give it that. 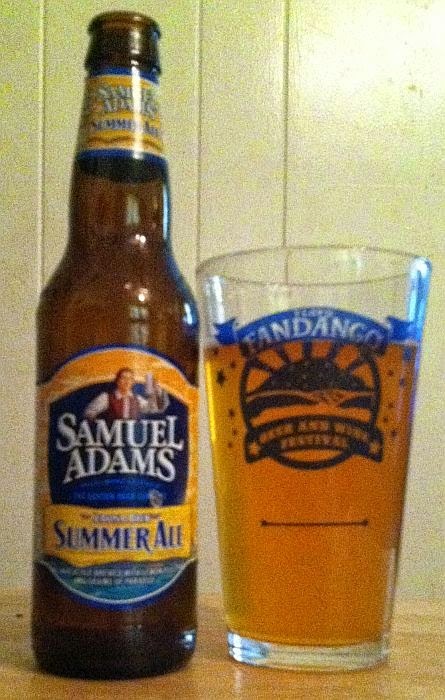 Bright, clear amber, lots of carbonation, but no foam at all. No lace. The smell reminds me of the water that peas have been boiled in. There is a sulfur quality to the smell, too. The flavor is tart and flat. 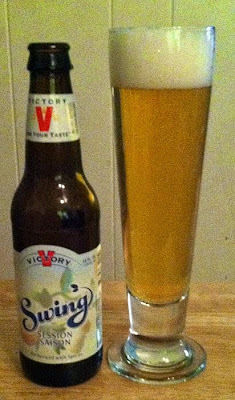 It’s like someone mixed an average adjunct lager with some citrus juice and let it sit for a long time. I’ll never drink this again. Collective Distortion is Stone's most recent collaborative brew, and I think it's their best in at least two years. 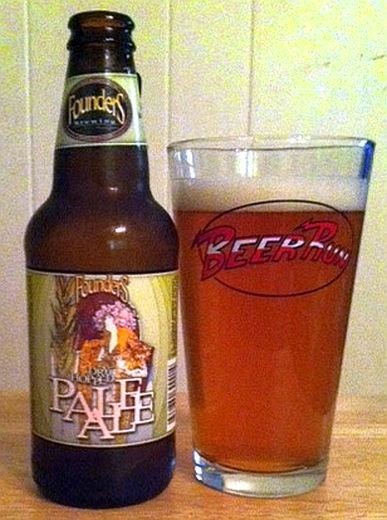 This is a strong, aggressive IPA that firmly returns the brewery to it's roots. Collective Distortion pours bright amber and clear, the body reminds me of Troegs Nugget Nectar, one of the cleanest looking IPAs out there. The head fades to a rim ring, there is little lace. The aroma has nutty, cereal-grain qualities behind the hops. Way behind... this thing is all bitter, all the time. This is a seriously strong imperial. A little coriander is present mid-tongue, but I didn't detect the elderberries mentioned on the label. The ABV, north of 9%, is drowned by the hop flood. This thing compares favorably to Ruination and the Sixteenth Anniversary IPA. I'll have a few more of these. I'm glad to see Stone brewing angry beer again. Troegs Perpetual IPA isn't bad, but it's not the best thing Troegs has to offer. I had it on tap at Buffalo Wild Wings. It is a golden color, lots of carbonation, the head fades to creamy lace. Muted aroma. Almost nothing for the nose. Somewhat sweet forward taste, strong floral bitter finish. Not a bad IPA, but just one more decent one. 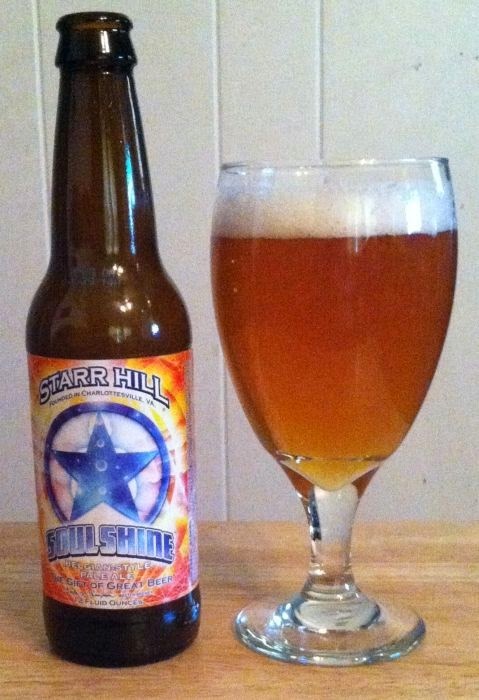 Starr Hill named their Belgian style ale after what is debatably the best song written by Warren Haynes, and that's a tall order to live up to. SoulShine is a kind of cloudy grapefruit color with average foam and lace, the aroma is citrus, bananas, a little Belgian yeast, malt, grass. The flavor is good, but not as good as the aroma promised. Mostly bitter citrus over a mild malt. 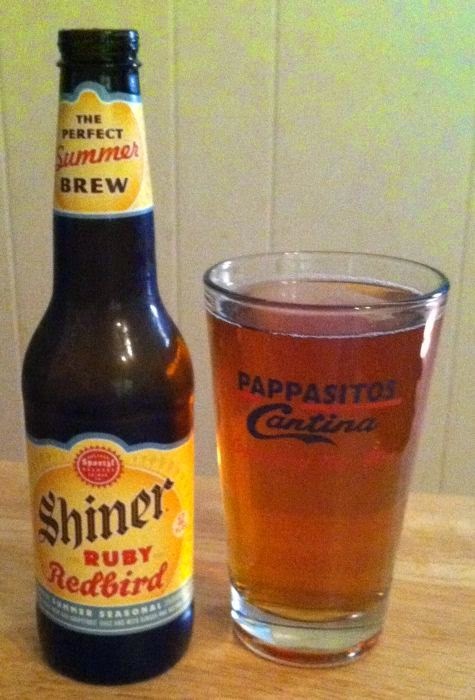 Not a bad summertime brew,though. I might buy it again. 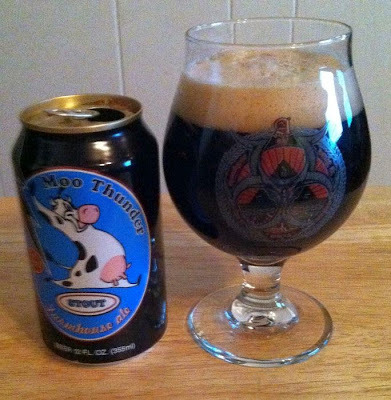 Butternuts Brewing's Moo Thunder is an OK, sweet stout. It pours black with average head and a little splotchy lace. The aroma is coffee and malt, chocolate, a hint of bitterness. The flavor is pretty good, but understated. A little watery up front, actually, but some rich malt in the finish. A little thin, but decent. Victory bills Swing as a Session Saison. I'm not crazy about it, but it isn't bad. It pours clear yellow with a fair amount of head and lace. There is a lot of carbonation that rises from the bottom until the last sip. The smell is pretty good, a little malt and yeast and citrus. The flavor is the same, but with a little bit of a sulfur aftertaste that I didn't much like. Not enough to ruin it, but I never quite got to where I didn't mind that aftertaste. Devil’s Backbone mostly makes good beer, but they’ve yet to knock my socks off. Reilly’s Red Ale does not change this. To be honest, this is a pretty pedestrian red ale. The damn thing is too sweet. It pours a pale mahogany color with no real foam, and the aroma is too sweet right out the gate. Almost like peanut butter. No, not peanut butter ... you know what it reminds me of? That Bit-o-Honey candy that used to be around when I was a kid. I never liked that. And I don’t really like the flavor any more than the aroma. 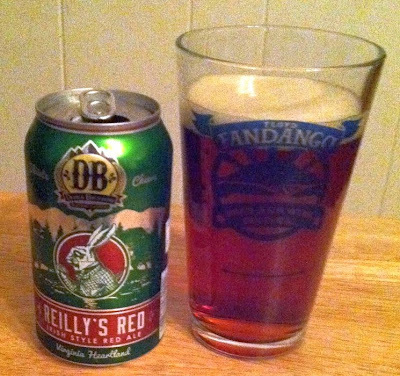 I like red ale to be rich, but this thing is syrupy. Saccharine. No hop character, no complexity. Just a very artificial tasting sweetness. I will never have this again. 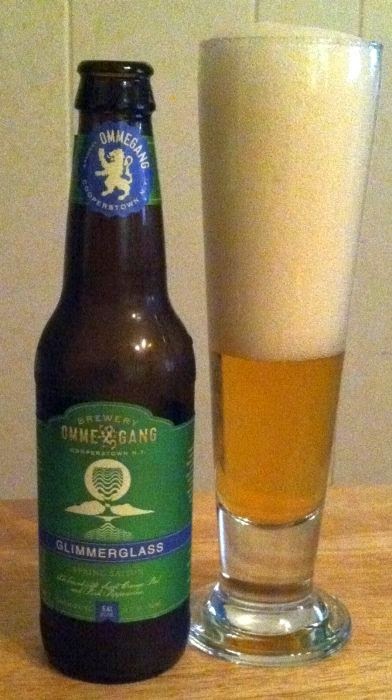 Saison is typically not my favorite style, but beers as good as Ommegang's Glimmerglass could change that. This beer pours clear, pale gold colored with a mountain of head. Too much head, in fact. But it's worth drinking through that foam. The aroma is bananas, bread, a little spice. The flavor is delicious. This is one of the best balanced beers I can remember having, and one of the best examples of this style that I’ve ever had. The malt and hops compete for the front of the tongue, and all that fruity, yeasty stuff comes through strong in the finish. Light body, mild vapor. I liked this beer a lot. Three Notch'd Hydraulion Red Ale pours kind of a burnt scarlet color with an average head but a lot of lace. The aroma is sweet and somewhat nutty, but with floral hops dominating. The flavor is very, very mild. A little caramel, a little bready malt. Slightly rich finish, something like humus. Clown Shoes Chocolate Sombrero is a rich, sweet, spicy stout. This isn’t something I’d want every day, but it’s a nice diversion. It pours dark black with little head, and the aroma is chocolate, cinnamon, coffee, peppers. The chocolate malt dominates the flavor. There is some vanilla and spice in the finish. I picked up on the peppers in the aftertaste.